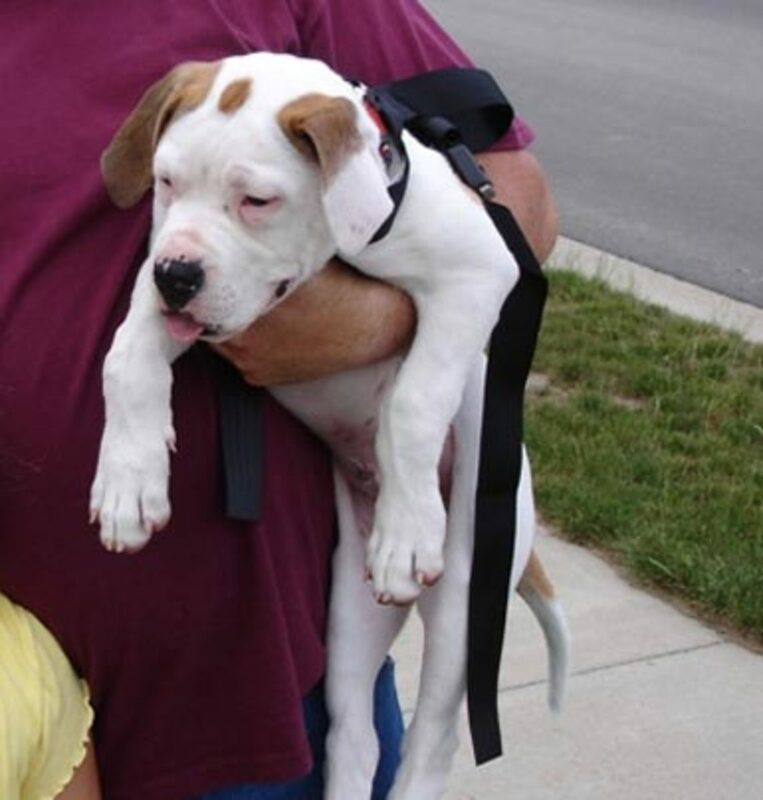 The American Bulldog has its origins in England. During the 17th and 18th centuries, bulldogs were used on farms to take care of the livestock. Butcher's used the dogs as guard dogs. After seeing the breed's abilities, bullbaiting began. Following bullbaiting and gambling, the bulldogs were used to help around the farm, hunt in the woods, and guard property. In 1835, bullbaiting was outlawed in the U.K., so the bulldog became a common pet in homes. When the bulldog came to America, it was commonly used to catch feral pigs. When the breed started diminishing, John D. Johnson and his father began working with the dogs. During this time, Alan Scott, became interested in Mr. Johnson's dogs and began working with him to help the breed increase its population and create the standard. At some point, Scott began breeding non-Johnson bulldogs with the Johnson bulldogs to use working on farms. 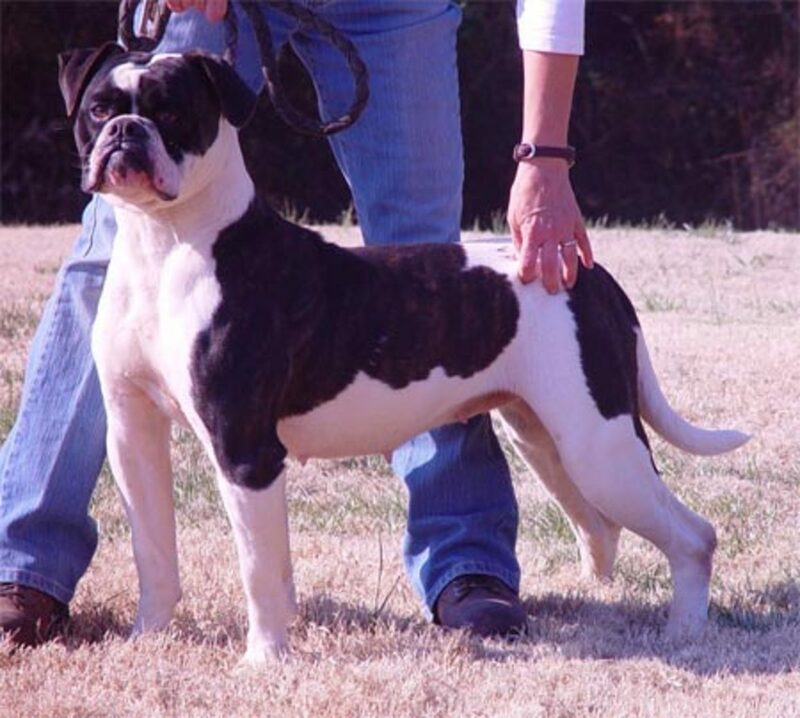 But, John D. Johnson's line of bulldogs became the standard for the American Bulldog of today. 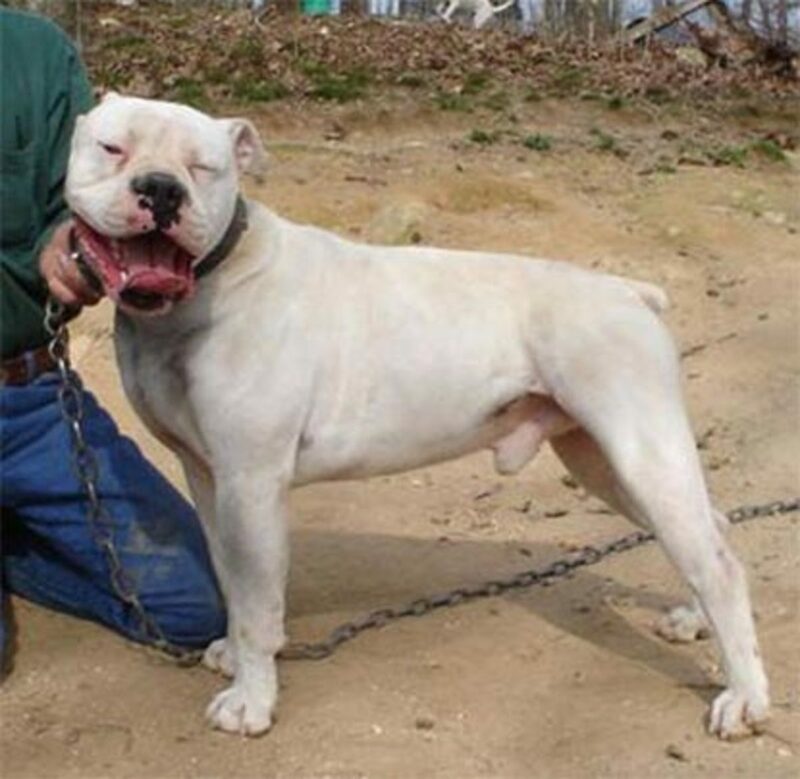 Currently, there are two different American Bulldog bloodlines: the Johnson Bully and the Classic Scott Bulldog. The American bulldog is a very stocky and strong dog. 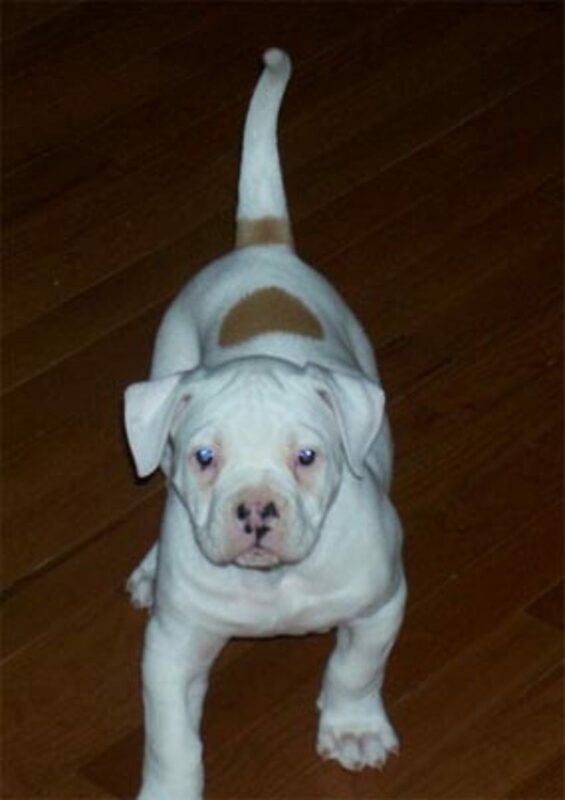 It has a short coat, that is either solid white or white with colored patches. 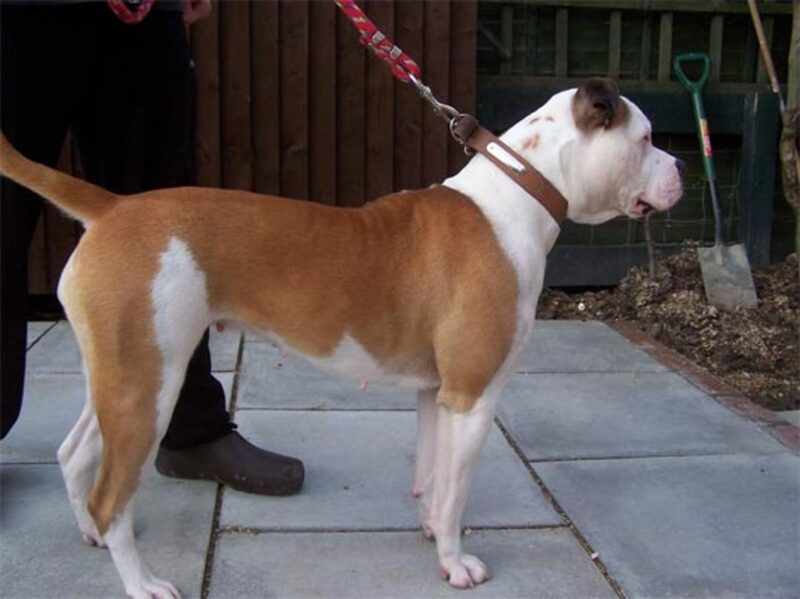 The Johnson type American Bulldog is a larger dog with a shorter muzzle when compared to the Scott American Bulldog. 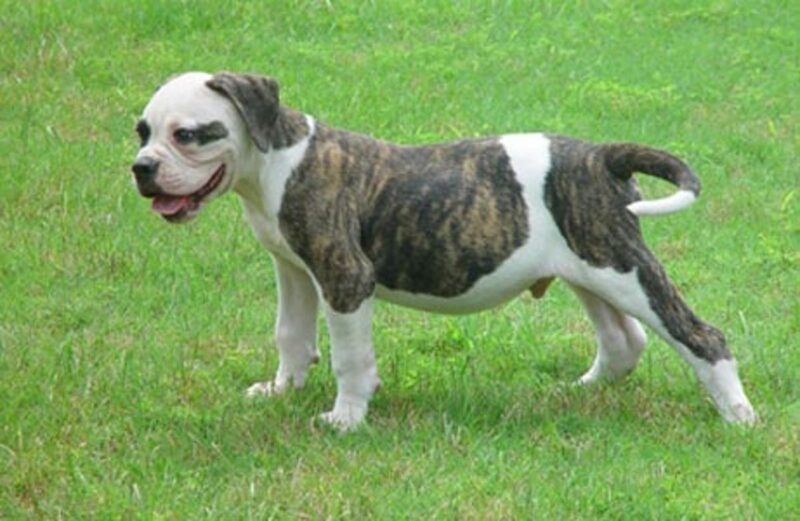 However, many modern American Bulldogs are a combination of the two bloodlines. In general, American Bulldogs weigh between 60 to 125 pounds and range from 20 to 28 inches at the shoulder blades. 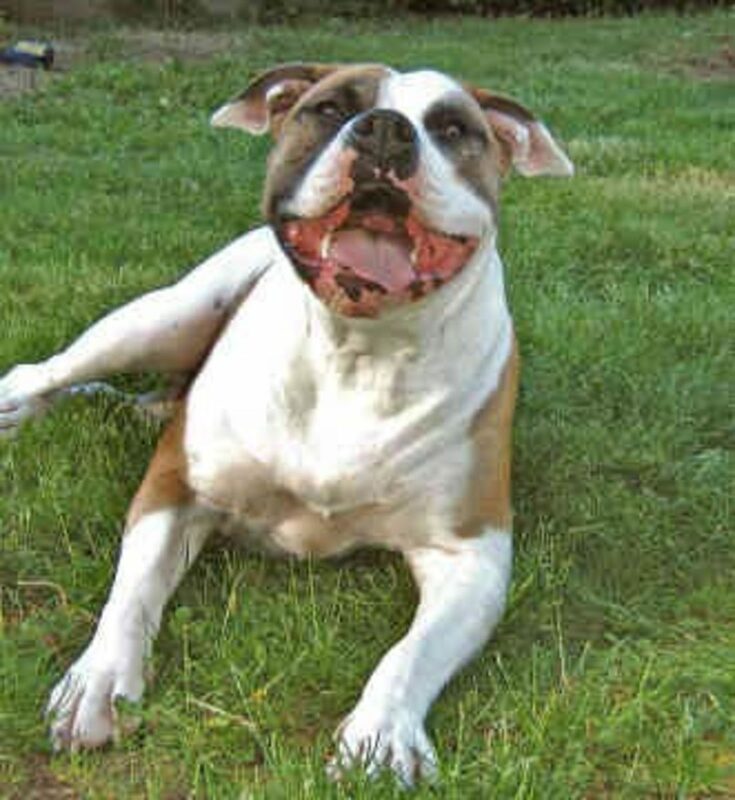 American Bulldogs are typically happy, friendly, and assertive dogs. They are very at ease within a family and great with strangers once they get to know them. American bulldogs are very fond of children, but at times do not realize their own strength. You should definitely supervise any playtimes with children and American bulldogs, because by accident the dog may jump on the child or hurt the child. American Bulldogs create a strong bond with their family, and therefore become very protective. The breed needs a firm hand in control as they can sometimes have a dominant attitude. With constant training and socialization, starting early on, you can control this concern as with most other behavioral concerns. American bulldogs can be stubborn and mischievous if they are not exercised enough. Because the dog does have a high energy drive, they need plenty of room to run and play, making them poor apartment dogs. 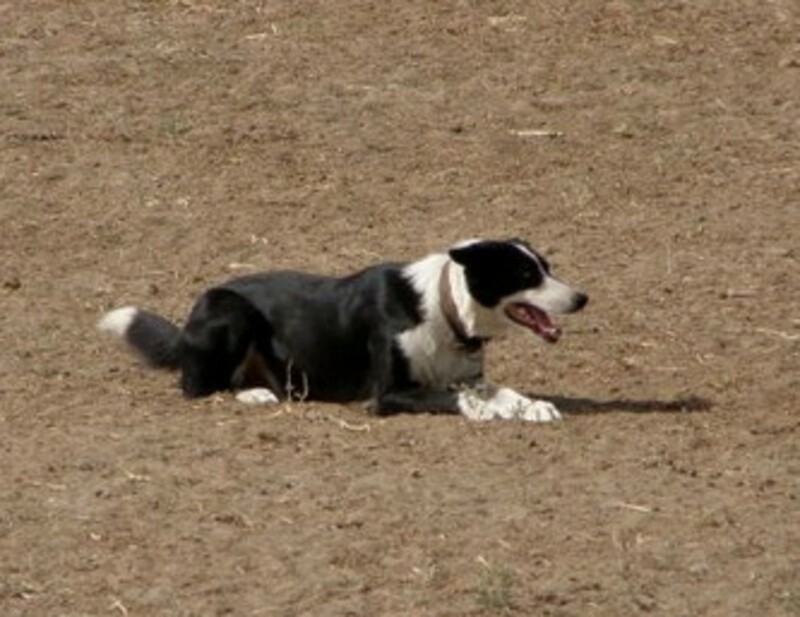 Sometimes they can exhibit problems with smaller dogs, as they also have a high prey drive. You will need to socialize an American bulldog with small dogs from the start if you intend on bringing home a smaller dog. Although, they are receptive towards training, they are stubborn, which can create a problem when house- training. 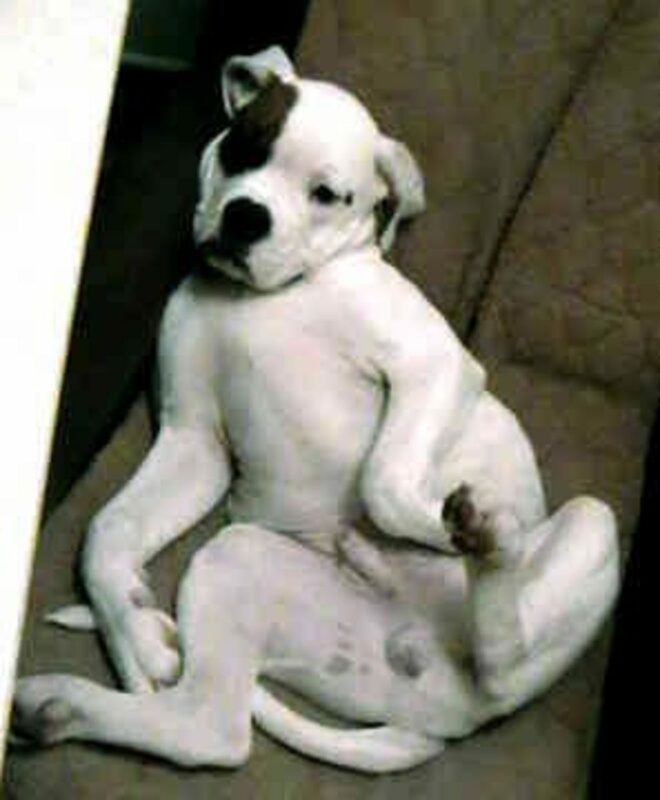 As with most large dogs, American bulldogs are prone to hip displasia. But, for the most part, the American bulldog is a relatively healthy and robust dog. 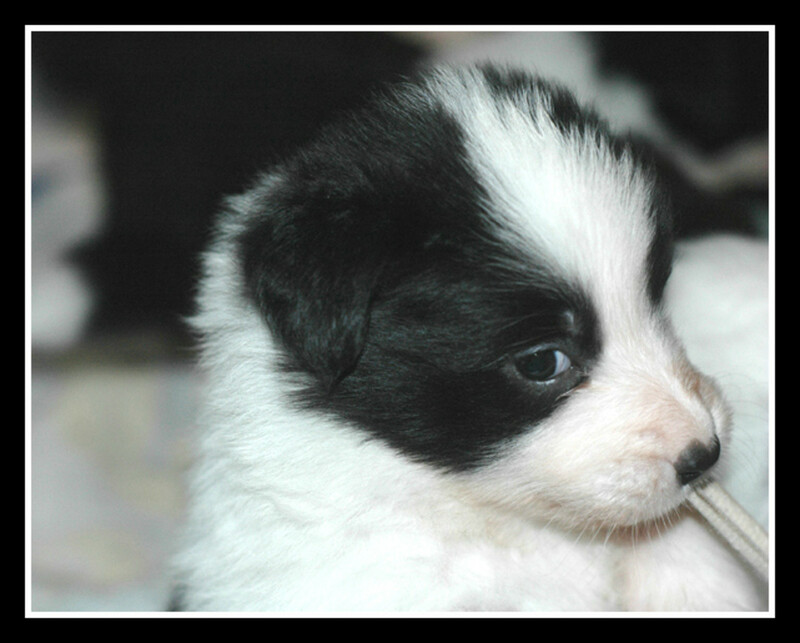 And, with proper breeding, care, and nutrition, the breed can live an average of anywhere up to 15 years. There are two distinct strains of American Bulldogs- Classic (Johnson, Bully) and Standard (Scott, Performance). 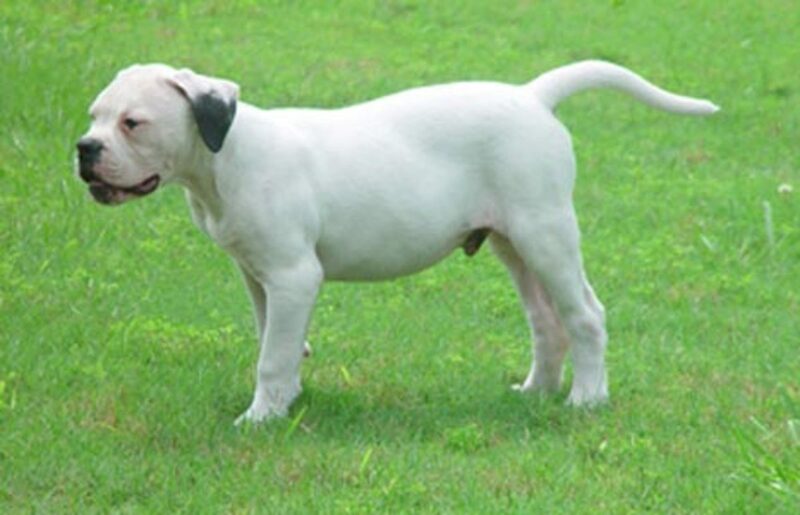 Both versions of the American Bulldog are often confused with the American Pit Bull Terrier because of its broad, stocky head and muscular body. 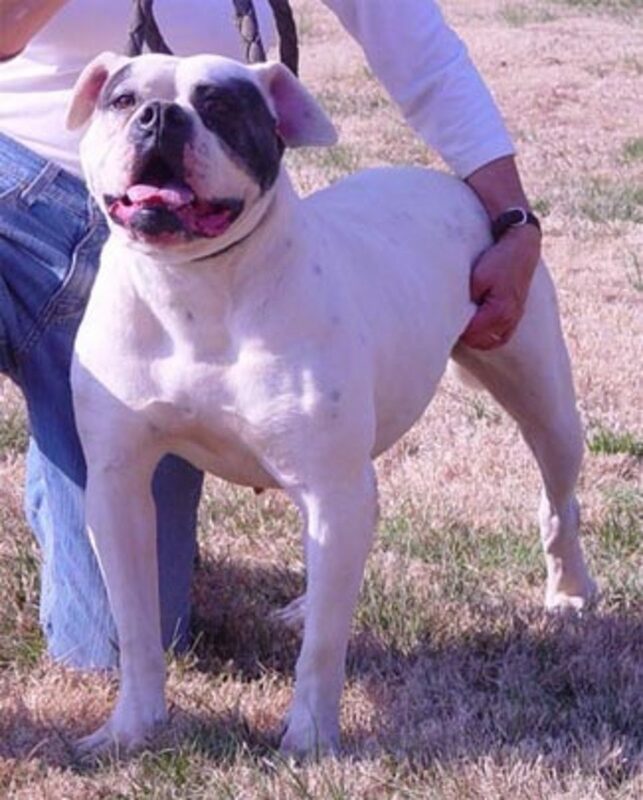 The Standard American Bulldog does resemble the pit bull-type breeds on many points, such as being muscular dogs that can be all white or white with patches. However, the pit bull's head is in the shape of a wedge coming to a more rounded point, whereas an American Bulldog's is more box-shaped. 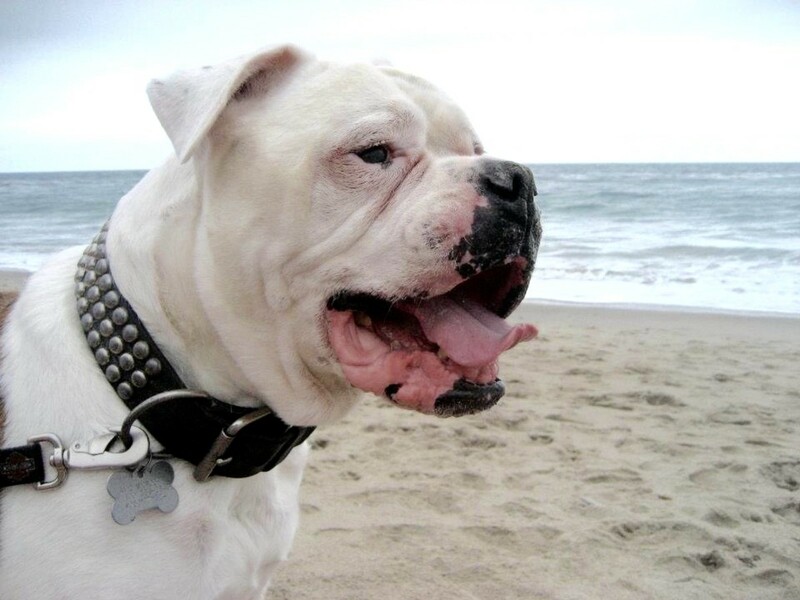 The American Bulldog's ears are also typically uncropped, and its head is both heavier and a little bulkier. I have the best american bull dog. I always thought she was on the small side, she is only 60lbs. She is definitely a lover, not a fighter. She also got sunburned once, I felt bad because I didn't know that could happen. She is also VERY protective but loves being a part of our family. There seems to be a fine line with people between Am Bulldogs and Pits. Mine was adopted as an American Bulldog but is solid brindle and 90 lbs and has a bit more refined head but still with the boxy look I love. Animal control calls him a big pit- as we found out when he got attacked by an English bulldog and did not know quite what to do. He is definatly a lover not a fighter! Thank You for your very informative articles. 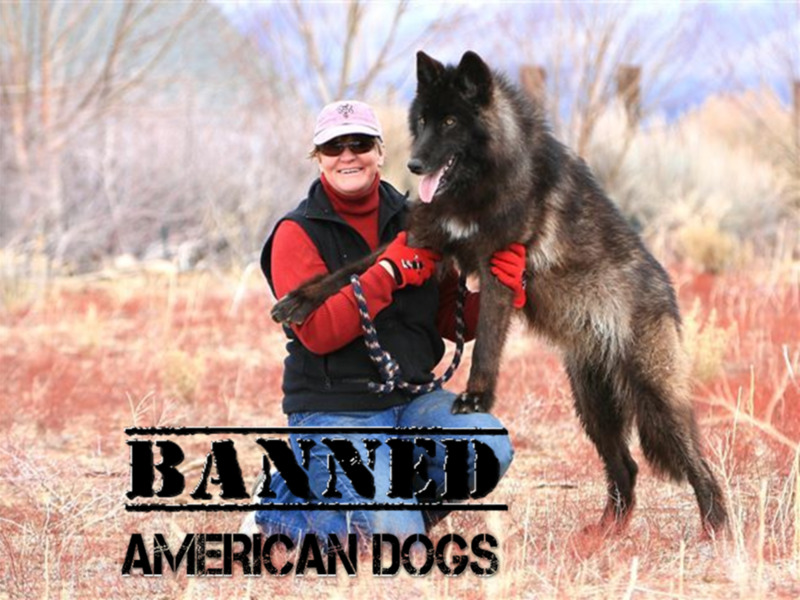 Ban the deed not the breed! Hi, I have a Scott American Bulldog. (Mack) He is the best and friendliest big bully and gets on well with my lab and the mongrel dog we just took in. In age he is the middle one but I notice he is taking over the leader position from the lab now he's fully grown n that does not always happen gently. We let them sort it out for themselves, with correction if it gets too rough and as long as he remembers that we'll always be his boss! Johnson bulldogs are the greatest. Have two of them. I always had pitts before, but these guys are so smart. Still love the pitts, but Johnson dogs are awesome.In 15 mins. I taught my am. bulldog to sit, and lay down. He was already sis mos. old when I got hi. They're awesome! Tidbit: American Bulldogs are very cute. I will admit to that.. They're up there with APBTs and Yorkies in my heart. It is true that solid white dogs can get sunburned easily, especially bulldogs, apbts, and such, as they tend to have thinner fur. Very informative hub. I myself have an American Bulldog. She looks just like the puppy on the sofa except she has a brown patch. I was informed by my vet not to let her get a lot of sun. Because she is white she can sunburn(which did happen once). I agree they are full of energy. She loves playing ball. She has a stubborn side too. She protests every time she has to go out in the rain, but she loves being out in the snow(go figure). She is a loyal companion.